The well-being of our nation depends on how we nurture the young. At Bursa Malaysia 2016, we believe in giving a chance to those who dare to dream towards excellence. 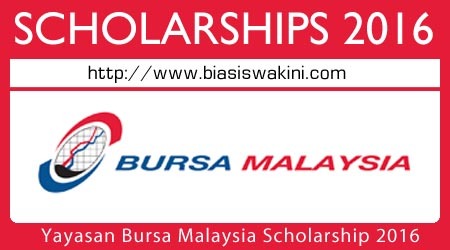 Through Yayasan Bursa Malaysia 2016, the Exchange is offering scholarship programmes to qualified students who are applying for or studying in public universities in Malaysia. 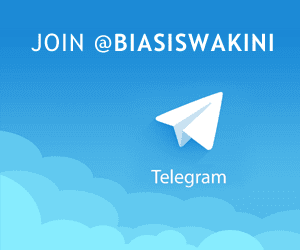 Applications can be sent via email to or addressed to the contact address below. Please indicate "Yayasan Bursa Malaysia Scholarship Programme 2016/2017" on the top left corner of the envelope. 0 Komentar untuk "Yayasan Bursa Malaysia Scholarship 2016"